This movie is terribly, horribly entertaining. I mean… it’s bad. Really bad. In the greatest way. The acting isn’t awful (it’s not good, either), but pretty much everything else is. The “special effects” are beyond ridiculous, ranging from puppets to amateur cgi, there is so much tossing of blood at people’s faces, it’s hilarious, and the seriousness of what is happening constantly goes from complete panic to no big deal at all. The dialogue and “sensual” scenes feel like they were written by a 13-year-old who hoped his mom didn’t find a copy of the script under his mattress. Actually, there were moments where the cinematography was actually somewhat interesting, which was weird because it didn’t belong in this movie at all. This thing is free on Amazon Prime and is barely over an hour (at least 5 minutes of which are the opening credits)… so just watch it if you like to laugh at silliness. Gosh dangit this movie is fantastic. I honestly don’t have a negative thing to say about it. It’s action-packed, it’s funny, it’s mysterious. The acting is fantastic, the soundtrack is spot-on, and the payoff at the end is perfection. 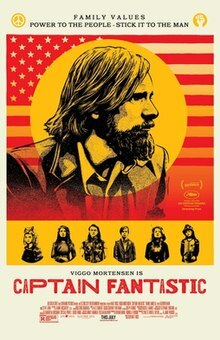 So far, probably my favorite movie of the year. Just see it, Martha! This is a really interesting and unique movie, with super impressive stop-motion. It’s definitely not a movie for little kids. It’s pretty dark, action-packed, and scary, and deals a whole lot with death. It wasn’t as emotional, to me, as I think they wanted it to be, but it definitely has a good moral. Worth checking out, for sure. This is a crazy story of two 20-somethings who become major arms dealers to the US government. I’m sure there are liberties taken to make the movie funnier and maybe a bit more action-packed, but from what I’ve read, most of this is completely true. And that’s nuts. 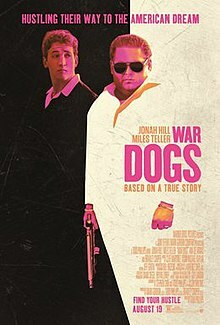 Besides the bonkers story, the movie is just all-around fun. It’s got some really funny moments, some really intense moments, and the soundtrack is killer. Definitely a top pick for 2016. This is such an interesting movie. It’s about a guy raising his six kids in the wilderness, training them to be able to survive in any sort of situation. A lot of it is really appealing, to be honest. They seem like they have a great life. Then something happens and they have to go into the “real world,” and they aren’t quite sure how to act. Etc. Etc. It’s funny, and intriguing, and sad. It’s a great movie. 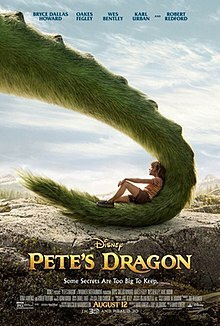 I used to watch the original Pete’s Dragon as a kid. I honestly don’t remember a whole lot about it, so I don’t know how close this story is to that one. What I do know is that this is good, good stuff. I almost cried in the first 5 minutes of the movie. And then I continued to almost cry throughout, until a few times when I actually did cry. It’s just such a beautiful story about friendship and family. The kid who plays Pete is fantastic, and the rest of the cast is just as excellent. 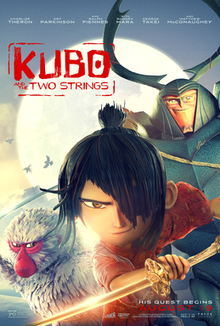 I’m glad we watched this the same weekend as Kubo. I feel like it gave me the emotional tug I was hoping to get from that movie. Definitely check this one out.